The agenda for Connected New England has shaped up to be full of valuable information, which makes November 8th is a great time to visit Connecticut. If you live in the Nutmeg State, or one of the nearby states, the drive to Hartford will end with an impressive list of speakers and thoughtful panels. You can register here for “Connected New England: Local Solutions for Broadband Development,” to be held at the Legislative Office Building in Hartford. 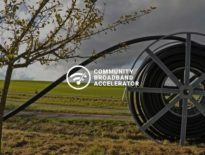 This one-day event will bring together broadband champions from federal, state, and local government, as well as community leaders and policy experts. We will feature a mayors’ panel, successful models in broadband deployment, E-Rate and funding opportunities, 5G and small cells, as well as an update about the recent municipal gain ruling in Connecticut. In addition to Hartford’s Mayor Luke Bronin, State Representative Josh Elliot will welcome attendees. Mayor Bronin will then join the Mayor’s Panel with his peers from New Haven, Stamford, and East Hartford. You’ll recognize several of the voices participating at the event as some of the panelists include Community Broadband Bits podcast guests Fletcher Kittredge from GWI, Aaron Bean from Westfield Gas & Electric, and Tom Coverick of Keybanc Capial Markets. Gigi Sohn, one of our favorite policy thought leaders, former FCC advisor, and a Distinguished Fellow at Georgetown Law Institute for Technology Law & Policy, will deliver the Afternoon Keynote. The event is hosted by Next Century Cities in partnership with the State of Connecticut Office of Consumer Counsel. For more details, including potential sponsorships, you can contact Cat Blake via email: cblake(at)nextcenturycities.org. 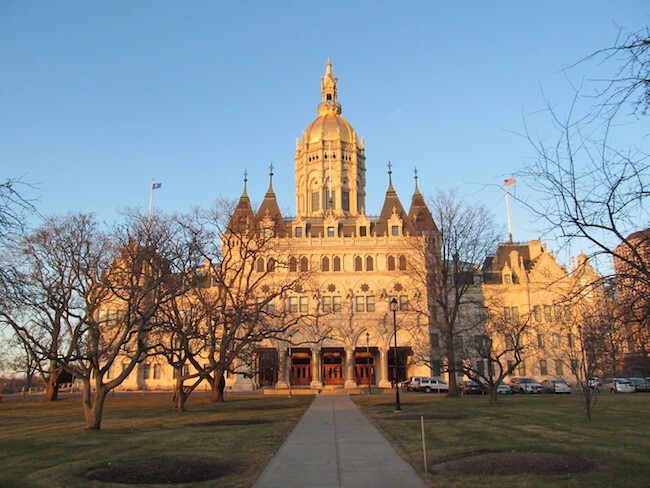 Image of the Connecticut Capitol Building by John Phelan [CC BY 3.0], from Wikimedia Commons.